Emilia Wickstead - Emilia Wickstead employs vibrant hues for her SS19 collection as illustrated by this retro-orange Magita dress. 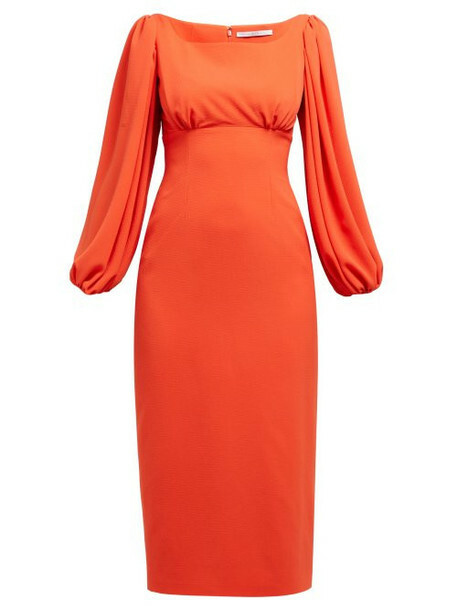 Featuring an empire-waist silhouette, it has a square neckline and gathered balloon sleeves with elasticated cuffs. Match the striking shade with white or cream mules for a nostalgic nod while retaining a contemporary mood. Exclusive to MATCHESFASHION.COM.